Monster Massacre vol. 1 (Atomeka/Titan Comics) | Magazines and Monsters! The over-the-top cover is extremely misleading, to those who will dismiss it just on that quality alone. Inside however, lies an anthology of stories and artwork that are top-notch! 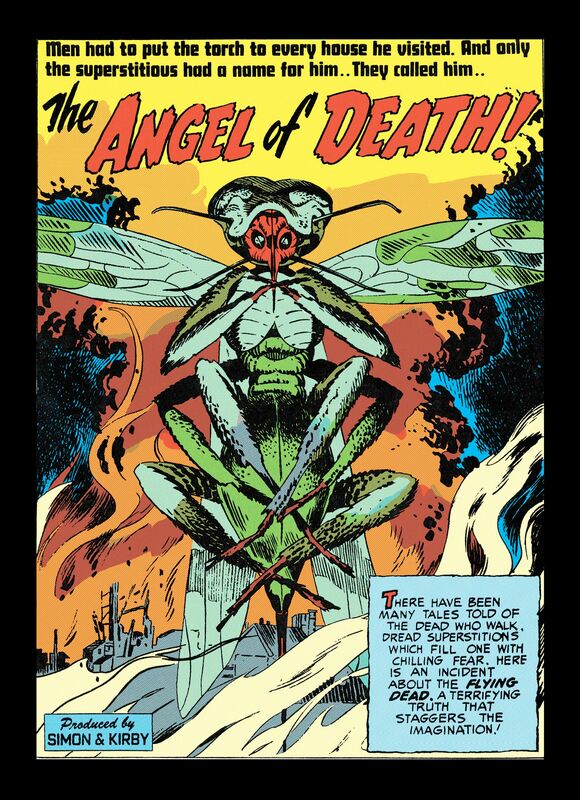 What better example of this could you imagine, than a story from the 1950’s, by legends Joe Simon and Jack Kirby? Of course the answer is none, and that’s what you get right out of the gate from this beautiful hardcover. The glossy pages of this book, are graced with some of comic books coolest creators. Dave Elliott, Alex Horley, Andy Kuhn, Dave Wilkins, Dave Dorman, and so on. Each story has its own unique voice, that lends a piece to the overall tone of the book. The fantasy vibe, definitely harkens back to the days of Frank Frazetta, and Boris Vallejo. These legends have inspired countless creators since the 1970’s, and will for a very long time. In the middle of the book, we even get a good prose story (Mike Elliott), followed by a solid story that’s part color, part black and white. It was a really cool to see that abnormal twist. 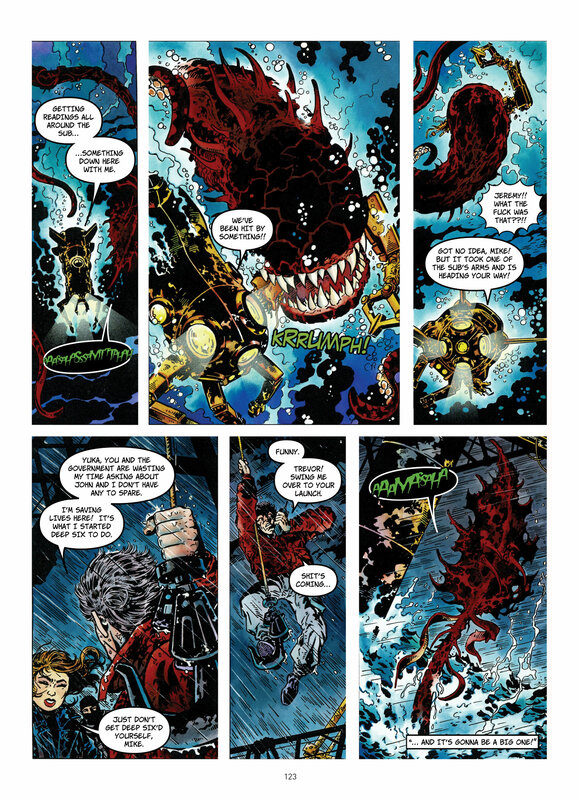 The Cthulu-esque tale “Deep Six”, with great action, and an explosive ending! There are also two incredible galleries inside, one by Alex Horley, and the second by Steve White. The first, is one that will remind you of Heavy Metal or Vampirella style books. Big monsters, beautiful girls, and the such. The second one has some really interesting images that are varying in subject matter ranging from undersea life, to wooly mammoths. Throw in a good dinosaur story, and you get more than your monies worth from Atomeka and Titan Comics! Check out the links below for more info on this great book, and look for volume two in stores in the coming months (or pre-order it now)!